Junco Partners sprang from the same Newcastle music scene that launched Eric Burden and the Animals. Formed in 1964 (the name came from a famous blues song), the original line-up featured singers John Anderson and Ronnie Baker, guitarist Charles Harcourt, bassist David Sproat, keyboardist Peter Wallis, and drummer John Woods. 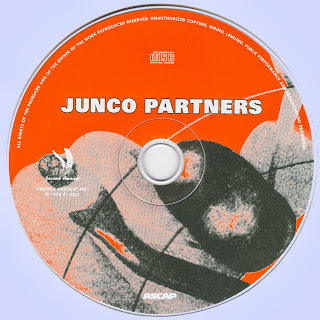 With The Animals breaking through to an international audience, Junco Partners seemed groomed for similar success. Immensely popular on the local club scene, in 1964 they packed up for Hamburg's infamous Star Club, but were turned back by German immigration officials who discovered they were too young to get work permits. That setback seemed momentary with the band signing a recording deal that saw the release of their debut single. Even though it was an intriguing mix of blues and more pop-oriented moves (imagine a mash-up of The Animals and The Zombies), the single did little commercially (# 60 on the UK pop charts), and the band returned to the English circuit where they spent the next six years opening for name bands and serving as a touring unit for a stream of American blues acts, including Freddie King and Howlin' Wolf. By the time the band got a chance to finally record an album the line-up had shrunk to former Jackson Heights alumnus Charles Harcourt on lead guitar and vocals, Sargeant on lead vocals and keyboards, Sproat on bass, and drummer Woods. 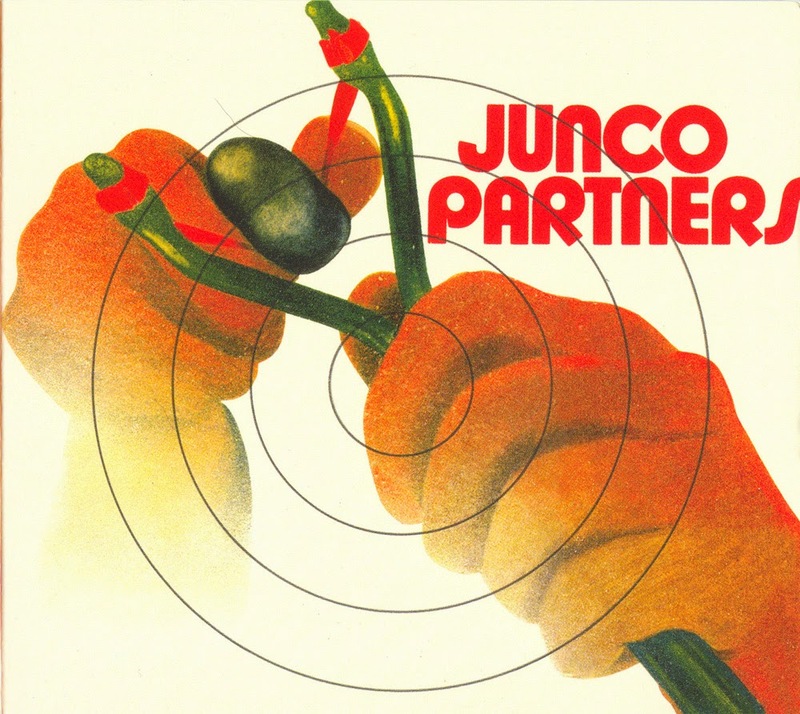 Produced by Fritz Fryer, to my ears 1970's "Junco Partners" was one of those albums that didn't immediately hit you, rather crept up on you and simply wouldn't leave you alone (kinda' like a bad woman). 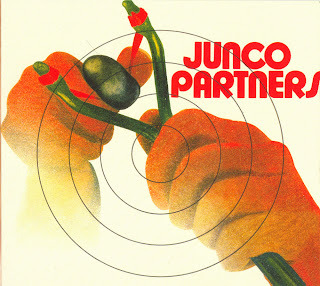 So here's what the band has to say about the collection: "The The Junco Partners Album was recorded in various big London studios for "Barclay" record label over a six week period in between touring in 1969 with Howlin Wolf, Freddie King and others. It was released in England, France and Germany after the band split up in 1970. At the time of recording, the band was a very slim four piece, renown for its dynamic live performances and gave its all to Bob Sargeant's songs. But truthfully we still didn't capture the essence of what we were when we started out, or what we are now - "A bloody good blues band". However it did awakened Bob Sargeant's recording and producing prowess - he went on to produce number 1's on both sides of the Atlantic, including more than twenty top 20 hits and on reflection the songs are not that bad either." Judging by these ten tracks I'd say their opinion was a bit on the modest side. Anyone expecting to hear a standard collection of British guys doing lame blues covers was going to be in for a major surprise. While material like their cover of Joe Cocker's Change In Louise' and the Sargeant-penned 'Am I Blue' underscored their longstanding blues fixation, the album was far more diverse than expected with credible stabs at progressive, psych, and commercial rock. Sargeant may not have been able to compete with the bluesy intensity of former lead singers John Anderson and Ronnie Baker, but he was actually quite good, occasionally sounding a bit like a gruffer Stevie Winwood and on tracks like 'Fly Me High' and 'Reprieve' he was magnificent. Guitarist Harcourt also handled vocals on a couple of tracks and was also a strong presence. As for the rest of the band, Harcourt was a real rarity - a rock guitarist who didn't play a single unnecessary chord, while the Sproat/Woods rhythm section was consistently superb - easy to see why American blues men wanted to work with them. Mountain Bus had its humble beginnings way back in 1962, when Ed Mooney. Tom Jurkens, and Stave Krator were students at Loyola University on the North side of Chicago. Mooney had a band called Moons and the Stars from 1962- 1964. Jurkens was in another group called Jurk &amp; The Bushman in 1965 when, upon their dissolution that same year. Mooney and Jurkens formed a rock and blues band called Rhythms Children, enlisting the services of Steve Titra». Joe Wilderson, and Steve Krater to round out the group. This incarnation of the band lasted until April of 1970, when Krater left for a two week honeymoon While he was gone. Lee Sims filled in for him; upon Kraters' return, their decision was made to go with both drummers. Both free and very low paying jobs haunted Mountain Bus for years; they had played to almost empty houses in and around Roger's Park and the Loyola campus since 1967 but as 1971 approached, they began to branch out around Chicago and played quite a few gigs at Alice's Revisited at Lincoln and Wrightwood. Their favorite place to practice for many years was a dungeon at 187 Wacker Drive. After a while, though, they couldn't stand the filth and rats anymore. They had, managed to the secure the back room of a little king restaurant which greatly improved the aesthetics But Mountain Bus never made any great money during those days; the band members supported themselves with full-lime jobs just to constantly fund the band's activities, equipment, and, later on, legal costs. Some of the members worked at local record stores, one of which. Round Records, was owned by David Solomon. The store eventually ended up becoming the bands Headquarters and Solomon assumed the role as manager/bookings agent One of Solomon's colleagues, Al Krocky. also owned a record store. At this time, record companies wers driving up prices to maximize their profits Al, however, saw an opportunity to start a record label which would sponsor local bands and put out records at much lower prices than the major labels were cranking them out at. in part caused by the mark-ups created by the record passing through three or four hands before getting to the general public Their plan was quite simple: Sell directly to the stores from the record label for the wholesale price of about $1.50 and retail the album for $2.98. instead of the standard $5.96. The store would make just as much margin as before, but the records would be more affordable to the people. So Krockey, another record store owner named Steve Nakon. and Dave Lissner decided to form Good Records, a division of the "parent company" People's Art Corporation. In the Spring of 1971. Good Records struck up a deal with Streetervite Recording Studios for 60 hours of recording and mixing time for $3.500. After going through seven 16 track 2” reels of tape at $75.00Vreei. coupled with additional hours over the initial 60, the total biff came to about $4,500 Throw in a few more bucks for the album covers and design, and the project was finished. The LPs were pressed at an RCA plant, while the tapes (both cassette and 8 track) were manufactured by Ampex Good Records had been busy establishing accounts in over twenty stales, banking on then philosophy that 1) because they were small, they could release only about four records a month, with each and every release really amounting to a major one and 2) Good Records was offering its musicians a larger slice of the revenue pie. at 25 per LP sold, versus the industry 'standard" of .22. The release of the LP started out slowly and then caught the attention of a lot of music critics both in Chicago and a few nationally. But then, suddenly, on 2 November, 1971, a temporary restraining order was served on Good Records. People's Art Productions, and the band members themselves to keep them from using the name "Mountain" as part of an ugly, aggressive and methodical effort by Windfall Music In New York, which legally represented the band know as “Mountain" (Leslie West, Felix Papalardi. Corky Lang, Steve Knight) ' who had gained National attention since their appearance at the 1969 Woodstock Music Festival. The lawsuit demanded that all record sales, promotions, air play, etc be halted, in that it was infringing on the established trademarks of Mountain, confusing and deceiving the general public, and diverting sales of Mountain's LPs , thereby causing "Irreparable toss" of their revenue stream. 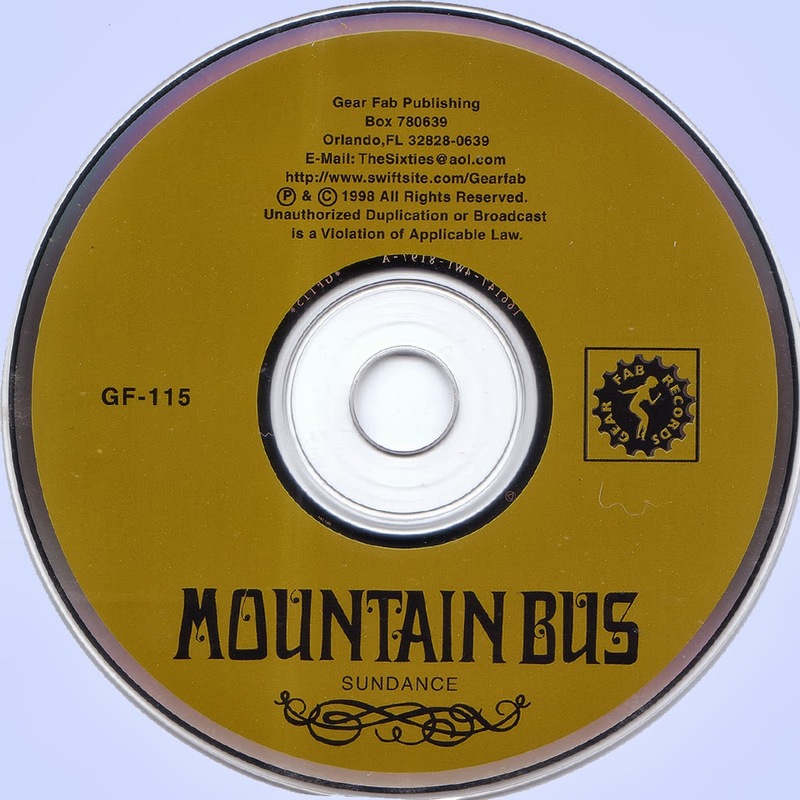 But the real crux of this lawsuit was not that Mountain Bus had caused confusion with the Mountain name nor diverted one cent of Mountain's $1.5 million in revenues earned between July 1969 through October 1971; it was the plain and simple matter that the major record labels at this time (Columbia owned Mountain) were not going to allow nor put up with upstart companies like Good Records or any others that offered good quality music at an affordable AND lower price than the majors. The facts were simple 1) Mountain Bus had been together for over 4 years, two years longer than Mountain using their name 2) Mountain Bus was a local band, very few people outside the Chicago area had even heard ot them before the release of the LP and 3)Mountain Bus had never reaped any significant profits over these years- the band were paid very small wages and many of their performances were for benefits and other non-profit organizations. Even more laughable was the 'Exhibit 3' used by Windfall to claim Mountain Bus had taken away business Mountain could have benefited from- A advertisement for Mountain Bus playing a Halloween benefit dance for the Parents School!! But this was serious business and a ton of money was thrown at this by Windfall.- they knew Good Records and the band couldn't sustain a long, drawn out legal battle Good Records had no reserve money with which to fight the lawsuit, and they went bankrupt. In its brief existence. Good Records had sold less than 3,5OO Mountain Bus albums m contrast to Mountain's 1.3 million. A record company founded with the express purpose of providing people with good quality music at reasonable prices was run nut of business And a great band broke up as a result of these bullying actions It was a loss for the public and a big gain for the record companies. The negotiated settlement called for dropping of an charges in return for the band ceasing to use the name "Mountain" In any of their performances alter a grace period of June 1972. In addition, they had to commit not to encourage, participate in, nor condone any publicity, demonstrations, or other adverse activities regarding Windfall Music or Mountain (there had been quite alot of threats and negative publicity at Mountain concerts and in many of the local and National papers (Rolling Stone for one). In addition, the disclaimer which also appears on this Compact Disc was required wording on the LP and tape releases of Sundance In the end the real losers were the people which Good Records had intended to reach. One wonders how many other great bands and music would have come out of this venture should Windfall Music have left well enough alone" Leslie West and Felix Papalardi insisted they knew nothing of the lawsuit when confronted with it by reporters and were purportedly upset about it, this of course then begs the question as to to why, if they m fact were so sympathetic to the plight of Good Records and Mountain Bus did they not themselves legally pursue Windfall over the bad press they personalty received over it?? The band known as "Mountain" officially broke up less than one year later. Leslie West is still active in the music business today; Felix Papalardi was shot and killed by his wife in 1984. 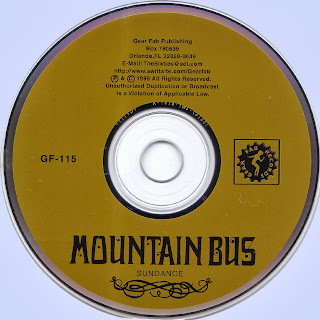 All members of the band Mountain Bus assisted In the preparation of this Compact Disc but many thanks go to Bill Keel and Ed Mooney and Craig Takehara for taking the time out and providing Gear Fab with photos, clippings, biographies, and. most importantly, the Master Tapes of these sessions. And special thanks to Good Records and their founding members who had a good idea back then and inspired many of today's small and independent labels to persevere and get the music out to the people!!" And another special note: There is amongst the music world another version of 'Sundance" on CD which has its origins in the country of France. No members of Mountain Bus nor People's Art Corporation participated in that project, nor ware they paid any fees, licenses, or royalties, as required by international Law. 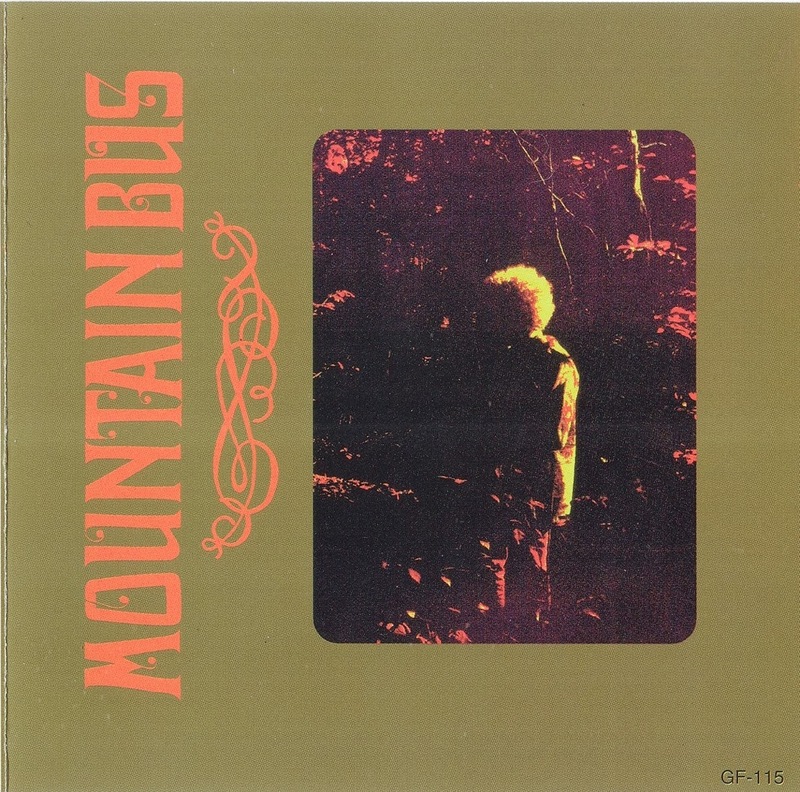 This is the official and only authorized legal release for Mountain Bus!!!' Last Note: The live material contained herein was recorded at various live gigs throughout the Chicago area; the band at times were hoarse, tired, stoned, drunk, and in general, in a state of euphoria so common to these times. So please, understand that it captured the essence of the moment.